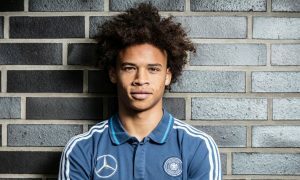 Standing at 6ft tall, loaded with ferocious pace, dancing feet, a brawny frame and a snazzy haircut to match, Manchester City’s Leroy Sané is the human embodiment of every 16-year-old’s FIFA ‘My Player’ creation. But what the electronic sports game does not let you create is consistency and positional awareness – two things some supporters believe the German to have lacked in his first three months at the club. At 20-years-old and with a £37m price tag above his head, the pressure is certainly on for the player Pep Guardiola lauded as a ‘special talent’ upon his arrival at the Etihad Stadium in August. So Sean, my mate, what do you make of Leroy’s start to life at City? Sean: Alright Adam, well first of all let me just say that I believe Sané has all the attributes to be a world-class player, and I’m delighted that the club were able to pull off the signing. It represents a massive coup for the club landing one of Germany’s best talents. In terms of his Manchester City performances thus far I’ve been a little underwhelmed. There’s been some good signs, particularly his cameo against Borussia Mönchengladbach, but I also think in others he’s lacked the positional and tactical intelligence to really hurt his opposition fullback. Adam: But aren’t you forgetting that performance against Everton, his first Premier League start, when he was quite clearly our best player in that first half? He clung to the right touchline in those first 45 minutes and had Oviedo on toast. I also thought that, at times, his link up play with Kev was excellent – they seemed to have a real understanding and that can only bode well for the future. Another thing that excites me about him is how confident he is taking on his man – none of this cutting back and playing a safe one to the full-back like Navas or Sterling at times last term. There’s a real confidence there and expecting a young, raw talent to be so disciplined just three months into life at a new club is a bit demanding, isn’t it? Sean: Now this is where I’m going to sound quite harsh. I personally thought his performance against Everton wasn’t as good as other fans suggested. Don’t get me wrong, he absolutely terrorised Oviedo, but was there any real end product when he did beat his full-back? I understand your point about his fearlessness and his willingness to get at his man at all costs, but is that necessarily what Pep demands from his players? I find it interesting that you have mentioned Sterling within this conversation because he, for me, is doing what he should be. He holds his position at all times and only drifts in-field when his other wide player is about to play the ball in. Remember his goal against West Ham? The timing of the run and knowing when to hold and when to stay is pivotal. 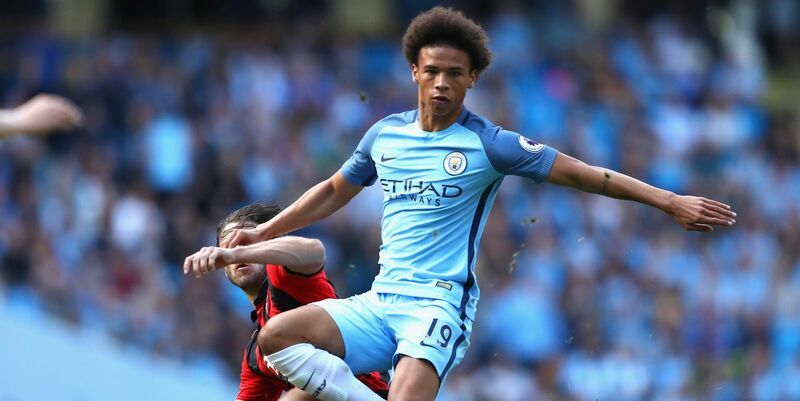 Sané for me showed a lack of understanding of his position in the recent game at home to Southampton. He did brilliantly for the goal, but his all round game and positioning was poor. He didn’t stretch the pitch wide enough, and as a result our attack was easily nullified. I’m convinced in time that Sané will get there, but even for such a young player, it’s a slight concern that he shows such a basic lack of understanding of his position. Adam: OK, I get what you’re saying about end product, but do you not think that’s also got a lot to do with our strikers? For me, it seems to be a running theme that our attackers don’t do enough to get into the box and attack the ball. Our midfielders often sit back, too, meaning the opposition’s defence find it too easy to clear danger. I don’t think we can have a pop at Sané for that. As for his positional awareness, do you think it’s a case of him trying too hard, in an attacking sense, to justify his fee? Do you get the impression that he may be drifting out of position a lot because he wants to be in and among the goals? That fee puts a lot of pressure on his head, doesn’t it? And at the end of the day, regardless of how much talent he has, that’s not a fee that he commands. For me, Nolito was signed as the experienced guy expected to hit the ground running, the guy to help Sané bed in. Surely that big fee doesn’t mean Sané should be expected to come into the team and get it right immediately? Sean: I’m not so sure you can, this whole new system for me seems to be about overloading the opposition. We now utilise Gündoğan, Silva, De Bruyne, Sterling and Agüero, so there’s plenty of targets to aim for in the box. The point I’m making now is that if Sané holds his position wide and intelligently makes the pitch bigger, it affords him more time on the ball to pick these players out. The mention of ‘trying too hard’ is an interesting one. I’m not really sure what trying too hard means as surely every professional wants to do the best job he can? The fee we’ve paid could certainly be a burden on his shoulders, but any youngster wanting to prove themselves as one of the best around shouldn’t be bogged down by a transfer fee. Don’t forget, this is a market in which Paul Pogba is valued at £93m. I agree with your comment about Nolito, and I believe that both Sané and Sterling will benefit long term from playing with him. Nevertheless, although Sané is clearly one for the future, he’s still got to show that he can cut it at the highest level. Adam: You’ve obviously got your concerns then, and that’s fair enough, but what has impressed you so far about him? And how do you see him developing? I think with his build and confidence, he could definitely turn into a Bale-like player in the future. Sean: What does impress me with Sané is the skill set that he currently has. We keep making the comparisons with Gareth Bale, and I think it’s more than apt. I want to avoid the old cliché of ‘the sky is the limit’, but I believe Pep when he described Leroy as the “great talent of German football.” If he’s nurtured properly and learns the system, with his natural attributes he’s going to be one hell of a player.